Happy Wednesday everyone! As many of you know, I'm almost 2 months into my third year of medical school. It's insane how fast time flies. Today, I wanted to share with you an insight from one of my fellow medical school bloggers (and she's a fashion blogger too!) who is finishing up her third year in medical school! She's sharing her experience of what third year was like for her, and later on I hope to do the same and share with you my thoughts once third year is over. This is a post that I'm very excited about because I want to know what to look forward to as I continue in my third year and also learn some tips for rocking third year! So, without further ado here is Yang's experience as a third year medical student. "Third year was much better than the first two years of medical school, but it didn’t come without its own challenges. I took for granted how much study time we had in the pre-clinical years and really wish I hadn’t. Sure, there was a lot of material but we literally had the entire day to to study! Coming home from the hospital/clinic after trying to absorb everything in your environment while being on your feet all day, and then trying to force yourself to review material was a different kind of exhaustion. Not only that, I had to adjust how I studied. For example, instead of focusing specifically on appendicitis and its presentation and treatment, I tried to work backwards and create a differential diagnosis for abdominal pain. It was tough but really worth it, especially when the attendings ask you for your opinion on treatment. On a more personal note, third year was a little bit more lonely because our school has rotations at different hospitals and I was unlucky and had to move for every rotation. It made it a little harder to keep in touch with everyone and really showed me how important it is for me to have my support system nearby. That being said, I loved third year. Witnessing the application of what we’ve been studying and (semi)understanding what the medical team is discussing is amazing! It’s essentially seeing what you’ve been studying for the last two years brought to life, which is pretty incredible. I think that’s what surprised me the most-that I entered third year with a pretty decent understanding of the more common pathologies. It’s hard to say what a typical day was like because it differed for each rotation. Sometimes I was in an office and seeing patients on my own, other times I would be rounding with the whole team. But I think the key to success, no matter what scenario you’re in, is to make the most of everything and take initiative. Think of it this way: you are paying to be there. You need to make sure you get your money’s worth! There will be times when people are too busy to teach or even notice that you’ve finished your work. Take the initiative and ask if there’s anything else you can do for them. Read more about the management of your patient’s condition. If your resident is busy doing notes, ask another resident if you can tag along. Ask the nurses (if they’re not too busy) if you can learn IVs. I’m pretty soft spoken and it can be hard for me to ask, but I’ve found that most people are very willing to teach! It’s just a matter of making it known that you want to learn from them. As I’m ending my third year now, I think I can safely say it was the best year so far. 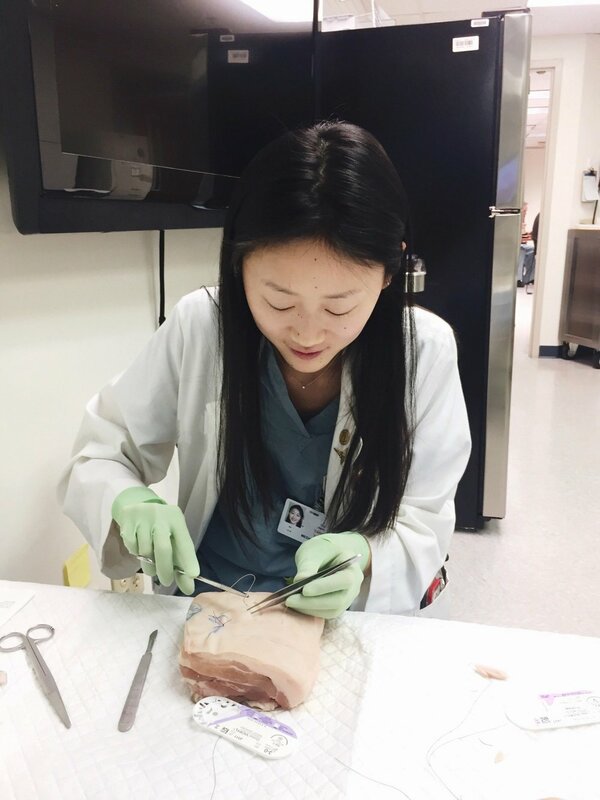 I learned a ton both professionally and personally, formed new relationships, found my specialty of interest, and really, truly realized that medicine was the right choice for me." I hope you were able to take something away from Yang's experience as a third year, almost fourth year medical student. I know I definitely did! If you want to follow along on Yang's journey, you can follow her at @yangswearabouts on the 'gram ;).